Calling on all fans of Thai cooking!! 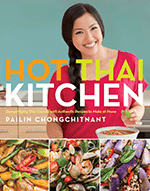 Want to contribute to your local thai-cooking community? Fans are always asking me about where to buy Thai ingredients – so if you know of a grocery store in your area that carries Thai ingredients, you can help us all out and add it to the map below! Please check if the location you want to add is already listed—a new post with the same address will overwrite the original post! This also means that you can edit the information of an existing post by posting another one with the same address. As this is a community-based project, I’m hoping that everyone uses this in the spirit intended and doesn’t spam us all to death! If you see something that doesn’t belong there contact us and we’ll remove it. Before visiting a location someone has posted, you might want to check that the information is correct (so you don’t end up at a laundromat) and also up-to-date (in case they have moved or closed down). If you want me to remove a marker contact us (as the app doesn’t have that feature). There can be a delay between when you post and when it appears on the map – so give it a bit of time, or try refreshing your browser to see if it appears. Thank you very much for contributing to the HTK community! Is the map misbehaving / having technical issues, or do you need an edit to your post? Contact Adam at adam@hotthaikitchen.com with the details and he’ll get right on it!